Would you believe I’m writing this post on January 2nd? I scheduled a bunch of posts because I was unsure of the quality of the Internet I might encounter on the ship. Previous experience showed me I’m better off just not using the Internet as little as possible, if at all. The Air Zoo of Kalamazoo is the first proper Airplane Museum I visited. I’d visited a few places that had airplanes before, but not a museum specifically dedicated to the restoration and display of airplanes. THIS post shows you just how nice the place is. Arguably, while not the one with the most planes, it’s the best-looking Airplane Museum I’ve ever visited. 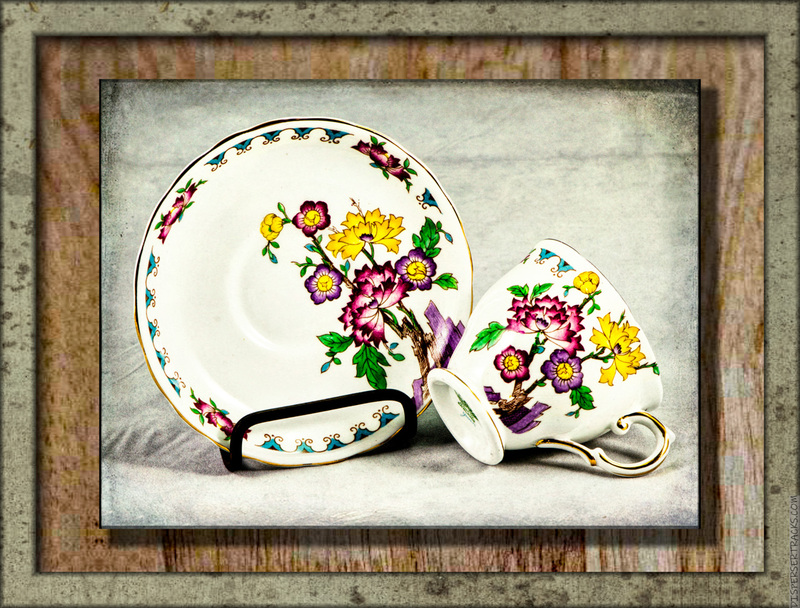 I like the contrast between the clean look of the teacup and saucer versus the rustic look of the background and frame. I’ve always been interested in science but it can be a dangerous field. Interesting that we used to have Mutants as monsters and eventually morphed into mutants as heroes. I credit The Toxic Avenger for the switch. I don’t know if it’s true or not but they say it’s not pretty . . . When Cats Regurgitate. That’s a very pretty floral design on the teacup and saucer . . . quite lovely, actually. Thank you, and as far as the doodle, it’s probably just the name you don’t like. If I’d named it Flowers enjoying a facial at the Spa, you’d be coming me on my artistic prowess. Possibly . . . but it also looks like a very messy pizza . . . and I love my pizza! See?! The power of naming things. Interesting title for the artwork! Just trying to make the best out of a hairball . . .
PHOTO: My fav spring colors! Green, yellow, purple! And the background and frame is perfect! CARTOON: HA! Oh! Yes, that is interesting. I hadn’t thought about it until now. 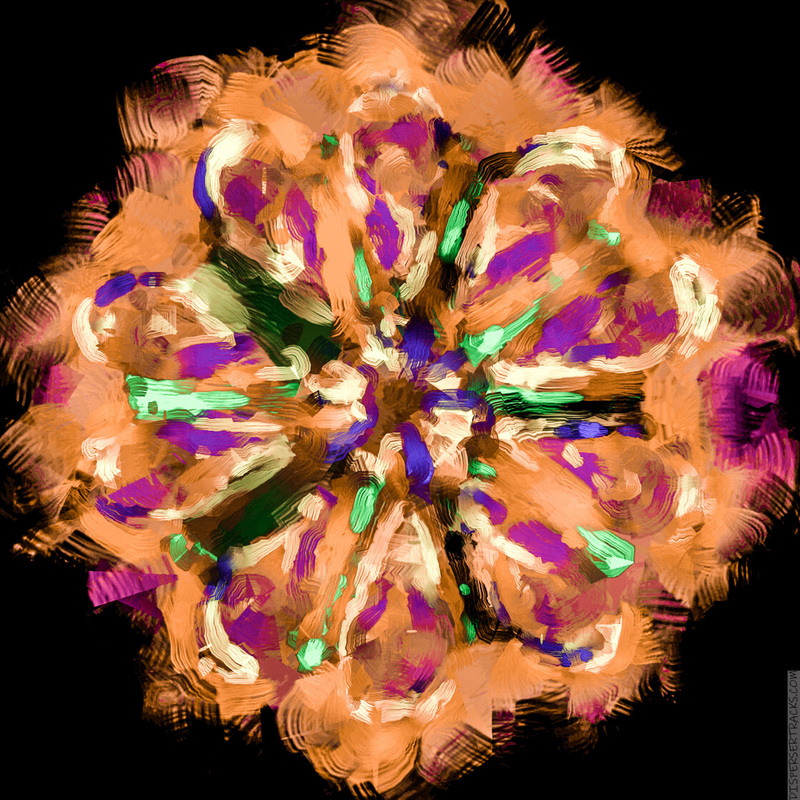 DOODLE: I like it’s feathery look and colors! Maybe the cat ate a flock of colorful birds! ??? Thank you, Carolyn . . . maybe the cad did eat some colorful birds. I’m leaning more toward stuff naturally growing in the mess.